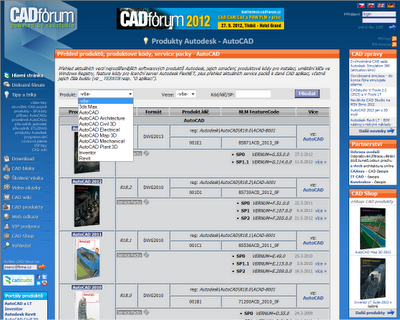 The web-cloud PLM system "Autodesk PLM 360" is now available in multiple language localizations, including Czech. 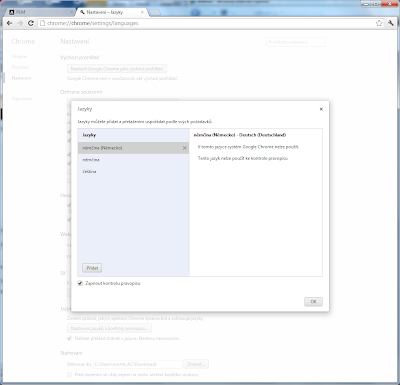 The language support is implemented on the server (in the cloud). 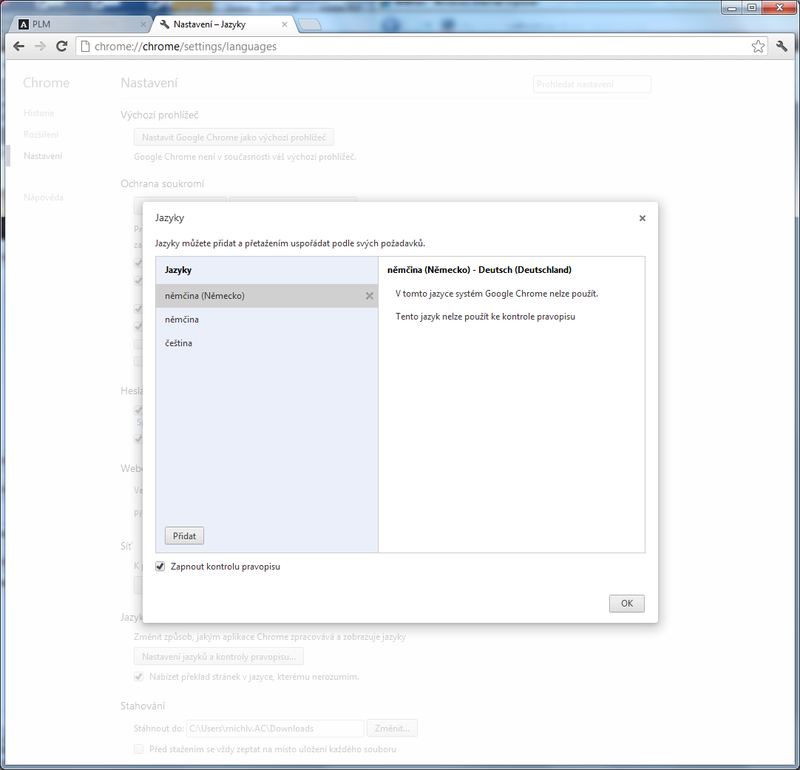 Language switching is done automatically when a user logs-in with his/her web browser language settings. If your PLM 360 client does not switch do the desired language, or if you need to run PLM 360 in other than the default language, use the following procedure to switch the language. The language selection is automatic and it is controlled by the setting of the preferred language in your web browser. This is usually preset to your native language. This setting can be changed individually - let us review this setting in Google Chrome and in Internet Explorer. 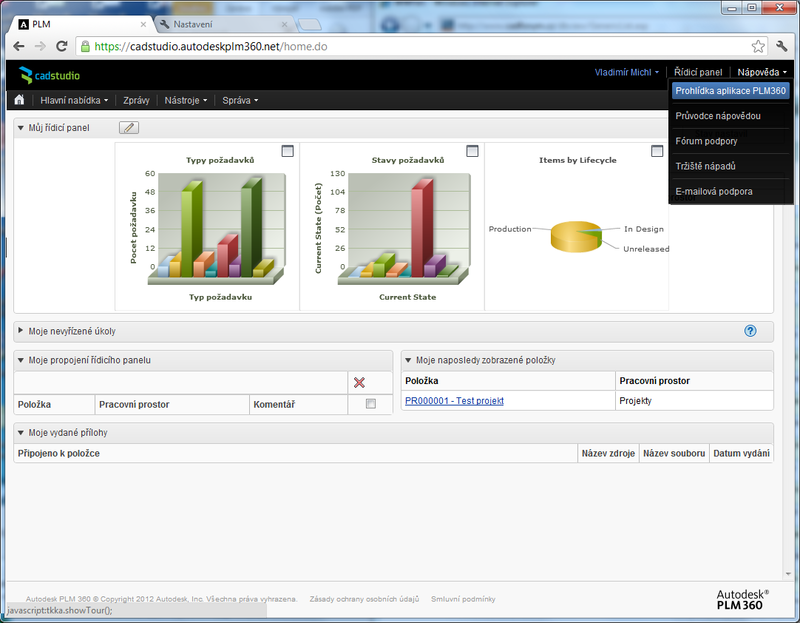 You can also set multiple languages in your web browser, but PLM 360 uses the first (top, primary) selection. In Google Chrome you can choose the language with Settings (the wrench icon or the URL address chrome://chrome/settings/languages). On the Settings page, click on "Show advanced settings" (on the bottom). In the Languages section, click on "Languages and spell-checker settings ". In the Languages box then Add the desired language and drag it to the top of the selection list. The setting applies immediately, just refresh the PLM 360 web page. In the Internet Explorer web browser you can change your language preferences with Tools > Internet Options. On the General tab click on Languages, in the "Language Preference" dialog, Add the requested language and move it to the top of the list. The PLM 360 language setting does not apply to workspaces and menu items which were set and customized before the language change. So in some cases the primary language change may not be complete and reguires subsequent customization of menus and workspaces. 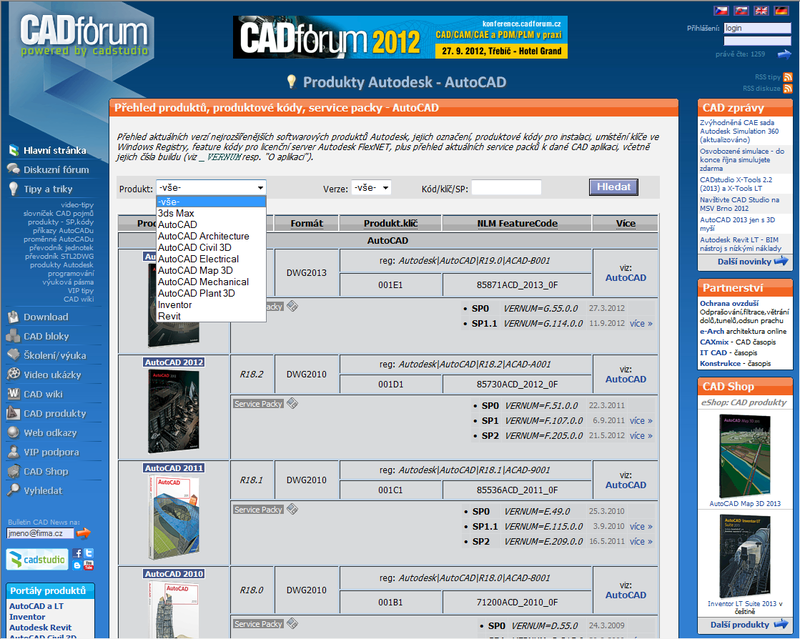 One of the frequent visitors on the CADForum.cz portal asked us to add a section which would summarize all Autodesk products with their Service Packs, product keys, registry keys and build numbers. All this data is already published on the portal but it is spread into multiple sections and tips. We thought it was a great idea and we have put together a new product support page in the Tips and Trick section - Autodesk Products. On one place, you can get here a complete overview of current versions of the most important Autodesk products, their service packs, their product codes for installations, feature codes for network licenses, build numbers, location of their Registry keys, file format versions and other information. You can lookup your software application and find all important support information about it, without searching through the individual tips and through the Download section. Information on this product page will be continuously updated and added.